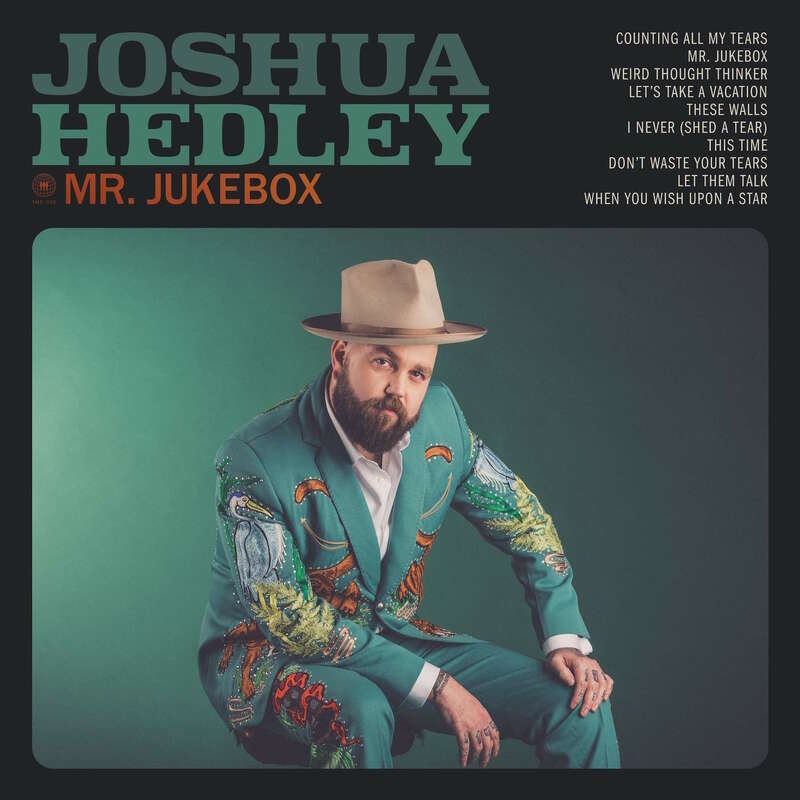 Mr. Jukebox, the highly anticipated debut album from Joshua Hedley, will be released April 20 on Third Man Records and is now available for pre-order. Watch the video for the title track today HERE. Produced by Jordan Lehning and Skylar Wilson, the 10-track album features nine original songs as well as a version of “When You Wish Upon A Star.” In addition to Hedley on vocals and fiddle, the album features Eddie Lange on steel guitar/guitar, Jeremy Fetzer from Steelism on guitar/baritone guitar, Michael Rinne on bass, Jon Radford on drums/percussion and Micah Hulscher on piano/organ. A Florida native, Hedley felt inexplicably drawn toward the fiddle as a child. He first asked for one at age 3. His mom listened to Neil Diamond and his dad listened to Otis Redding––they didn’t see the request coming––but when he asked again five years later, they were struck by the longing’s staying power and, at 8 years-old, he finally got his wish. He went on to perform at the local VFW and American Legion and, at 12, joined his first band. His bandmates were in their 40s. Around the same time, Hedley visited Nashville with his parents and immediately knew that he belonged. At 19, he made the move and began sneaking into Robert’s Western World––too young to drink legally and too wild to care. Joshua Hedley went on to become a featured performer and in-demand sideman at the now legendary spot and, ultimately, a well-respected frontman. Armed with an easy croon and prodigious fiddle playing, he became known by peers as the Mayor of Lower Broad. In the years since, he’s performed with artists including Jonny Fritz, Justin Townes Earle and was featured prominently in the 2015 documentary, Heartworn Highways Revisited. Hedley will tour throughout 2018 in support of the record, including stops at SXSW and a date at London’s The Waiting Room on April 12th.